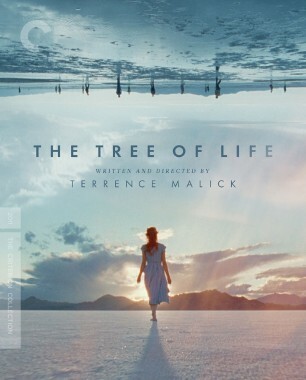 “No one expects a musician to play a song the same way every night.” It was this impulse to explore different rhythms and intonations in an already completed work, says our executive producer Kim Hendrickson, that led the visionary director Terrence Malick to dive into reediting one of his most acclaimed films, 2011’s The Tree of Life. The three-hour-plus version he ultimately came up with—just released as part of our new edition, which features the theatrical cut that remains Malick’s preferred form—includes fifty minutes of never-before-seen footage. For fans wondering how this all came about, here’s a look at the process behind one of the most complex and challenging projects we’ve ever undertaken. Like the film itself, which juxtaposes a portrait of 1950s suburban life with awe-inspiring imagery depicting the birth of the cosmos, the story behind this abundant new Tree of Life takes us back into the past. It was in 2010, while he was still toiling away on the theatrical cut of the movie, that Malick had his first experience with Criterion, putting his seal of approval on our release of the painterly Great Plains tragedy Days of Heaven (1978), and in the process establishing a long-lasting relationship that would lead us to collaborate with him on Badlands (1973), The Thin Red Line (1998), and The New World (2005). The New World marked a notable shift in how the director sought to present his work, says Hendrickson, who has produced all of our Malick editions. The transporting seventeenth-century romance appeared on our release in no fewer than three incarnations: a 135-minute final theatrical cut, a 150-minute early cut, and a 172-minute cut, first released on home video by New Line in 2008, that the director sees as closest to what he wanted to achieve. It was perhaps no surprise then that, once Criterion had sealed the deal with Twentieth Century Fox to put out The Tree of Life, Malick expressed interest in experimenting with incorporating previously unused footage. Criterion was quick to support this project, though it would entail straying from our comfort zone. 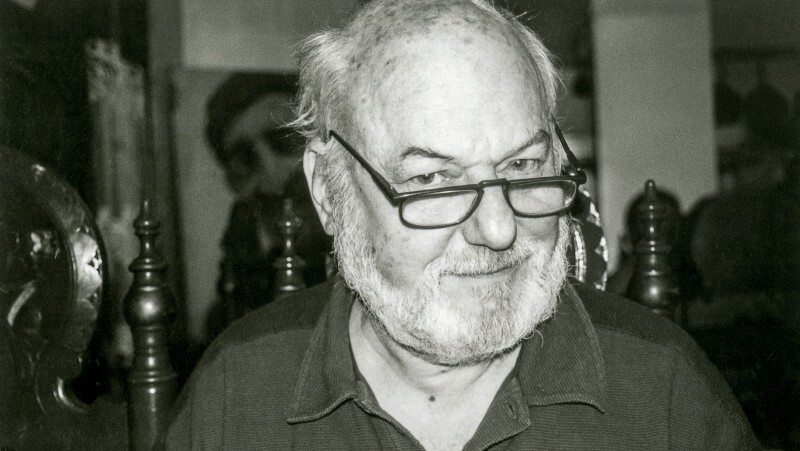 As technical director Lee Kline, who would end up serving as the postproduction supervisor on the new version, puts it, often, with our releases, “we add a few minutes, take out a few minutes, here and there, but we don’t really ever try to shape fifty minutes of footage into a new piece and make new sound mixes for it”—as would go on to be the case for this extended cut. There was a brief moment in the earliest phases of the project when Malick was exploring the possibilities of new home-video technologies, including “seamless branching,” in which a disc can be coded to insert new or alternate scenes at chosen points within a film, so that multiple versions of a single movie can be stored more efficiently. That direction was soon abandoned, but Malick, editor A. J. Edwards, and his assistant, Kelsey Hockmuller, continued to focus on what had been their goal all along: creating an entirely new cut of the film. The team spent more than a year shaping their new Tree of Life, working with low-resolution digital files that encompassed all the usable material shot for the film. It was only as they neared the end of their edit that Criterion set out to find and scan in 4K the 35 mm negative reels containing the new footage that had made the final cut—and the realization of the challenge that process would pose sunk in. Among the puzzle pieces that proved particularly vexing to track down was a reel that was particularly vital to Malick’s conception of the extended cut. “He created this reel of the outtakes knowing that those were shots that he wanted in a special place in case, for some reason, he wanted to revisit them,” Hendrickson says. 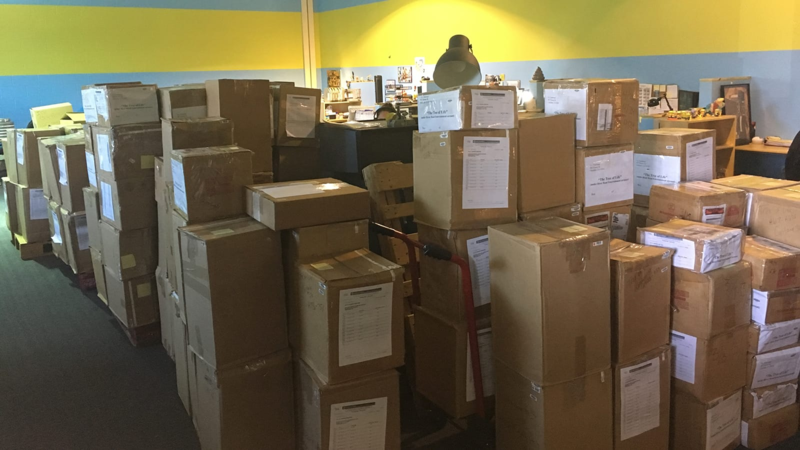 The footage in question was eventually found in a warehouse in Valencia, California, but other daunting logistical challenges soon arose. 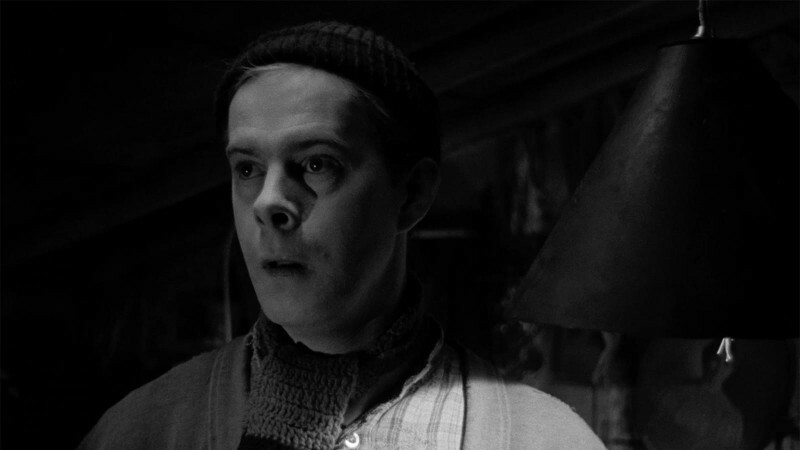 An entirely new sound mix had to be created for the new cut, for which the services of the film’s original sound editor, Joel Dougherty, were enlisted. And once The Tree of Life’s Academy Award–winning cinematographer, Emmanuel Lubezki, sat down for a consultation with the colorist, he decided the entire film—not just the new footage—needed to be color-graded from scratch. At that point, “we were making a new movie, pretty much,” says Kline. That the extended cut is, in essence, a new movie, with a pulse all its own, is apparent from the revelatory experience of watching it. But that’s not to suggest it strays from the spirit of the original. “There are elaborations of narrative threads that provide more context, but they don’t fundamentally change the story in and of itself,” finds Hendrickson. 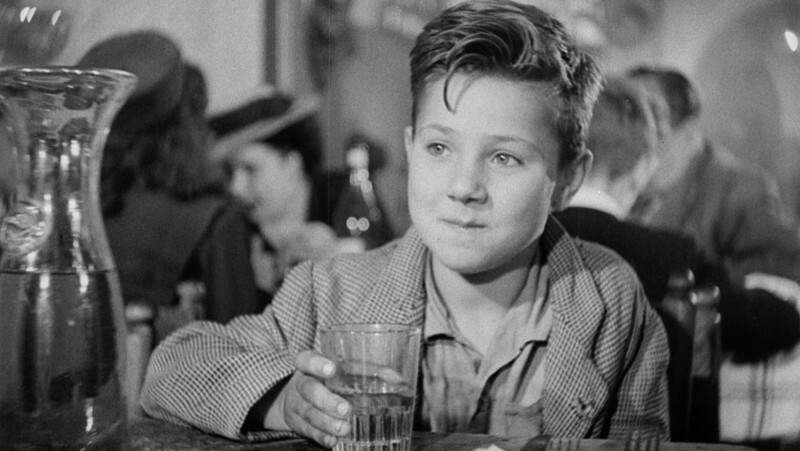 With ample room to breathe, the expanded version offers a more nuanced picture of the troubles encountered by the adolescent Jack O’Brien (Hunter McCracken); the concerns and doubts of his parents (Brad Pitt and Jessica Chastain); and the crisis of faith of the jaded adult Jack (Sean Penn), as he struggles to make sense of his upbringing and the tragedies that befell his family decades ago, and searches for meaning and redemption amid the origins of the universe. 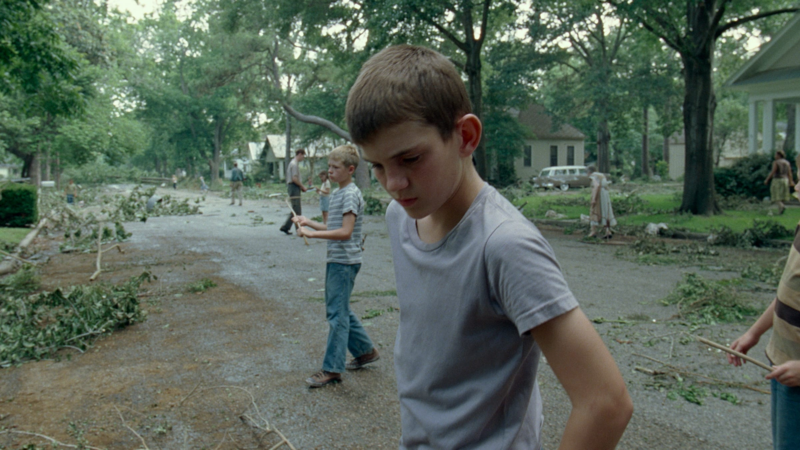 In one sequence, Jack and his young brothers survey the destruction caused by a tornado. While this cut doesn’t feature any more of the awe-inspiring imagery created under the supervision of Dan Glass and his incredible special effects team, the power of nature is vividly evoked in this depiction of a disaster, the aftermath of which underscores the many ways the family lives at the mercy of a world evolving on its own almost inconceivably vast time scale. Hendrickson sees the key to The Tree of Life’s tactile beauty and insight into human vulnerability and grace as lying in what made this longer cut so difficult to put together in the first place: the vast amount of footage that Malick and Lubezki shot on location in Texas and beyond. “I think the only way that you can create a film as perceptive and sensitive as this is if you have that much footage to work with,” she says. And, as Malick has shown with this fascinating variation, having that much footage in the bank can also mean a film ever ready to take on new forms, changing over time as do its makers and viewers. Benjamin Mercer is associate editor at the Criterion Collection. He has written for The A.V. Club, the Village Voice, Reverse Shot, and The Henry James Review, among other publications.